Jaded Blossom: We Go Together Like Needles and Yarn! Jamie here to share a fun card! Those who know me, know I love knitting so I had to use this new sentiment from We Go Together Like 2! I used the Card Mat Dies and Mini Tag Dies 2 on my card. 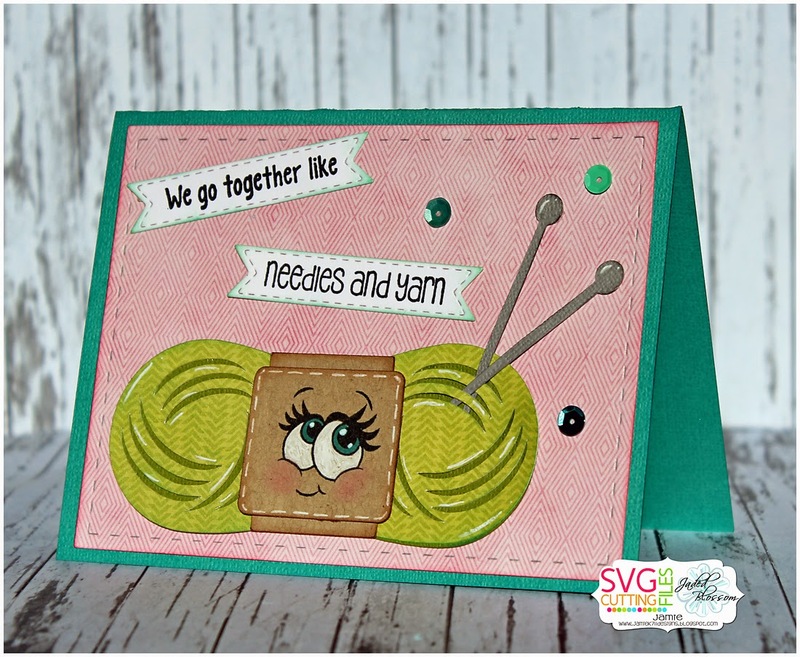 Then I added this adorable Yarn and Needles cut from SVG Cutting Files! Aaaw, this is the cutest!